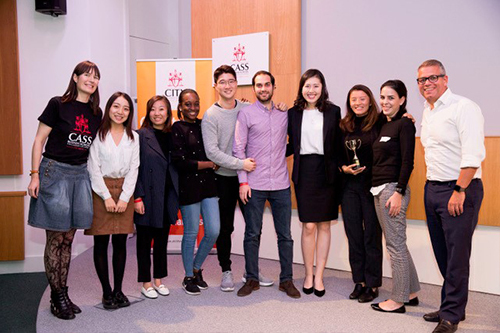 More than 120 aspiring student entrepreneurs have attended the CityStarters Weekend, a weekend-long event celebrating innovation and start-ups. The event was aimed at students interested in starting their own business, bringing together developers, designers, makers and start-up enthusiasts to share ideas, build their teams and increase their employability skills. Over the course of the weekend, attendees had the chance to pitch their ideas and join up with others to work on and develop them further. Students received coaching from industry experts and learned about product development. The teams with the best ideas were awarded funding to help them progress them further. Speakers included Joysy John, former CIO of Ada; Daniel Benamran, former Head of Marketing at BlaBlaCar UK and Emma Zangs, Co-Founder of MetaSpeech. At the end of the weekend, Wendi Lai (MSc in Entrepreneurship) and Rodrigo Camino (MSc in Entrepreneurship) were named the winners for Lonbrella, an umbrella rental service. They took home a prize fund of £3,000. The second prize went to Marie Magnusson (MSc in Entrepreneurship) for her Build-a-Bar idea. Build-a-Bar is a new vending machine, which allows consumers to build their own healthy snack bar using a touch screen to choose the ingredients. She was awarded £2,000. Dominic Baun (LLB) was named the third runner up for his job website idea, Jigsaw. The website allows employers to outline the shift times they require work for as part of the job advert. He won the £1,000 prize. 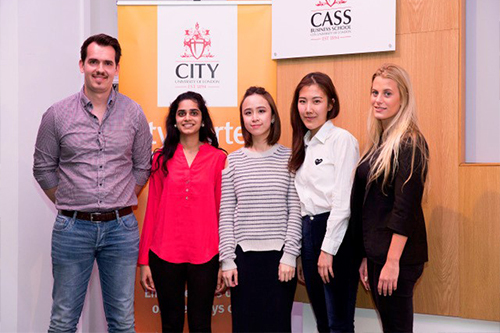 The event, held at Cass Business School, was sponsored by Santander Universities and Shirlaws. At Santander our vision is to help people and businesses prosper and what better way to do this than helping the students prosper. 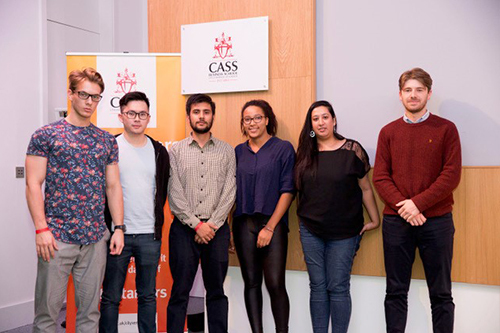 I look forward to seeing their ideas and imagination grow and continue our support to Cass into the future. It was invigorating and exciting to meet with students who have ideas to address big market needs in such innovative ways.